Student artist has been selected to receive a Silver Medal in the Blick 2017 “With Art I Can…” Mixed Media Contest. 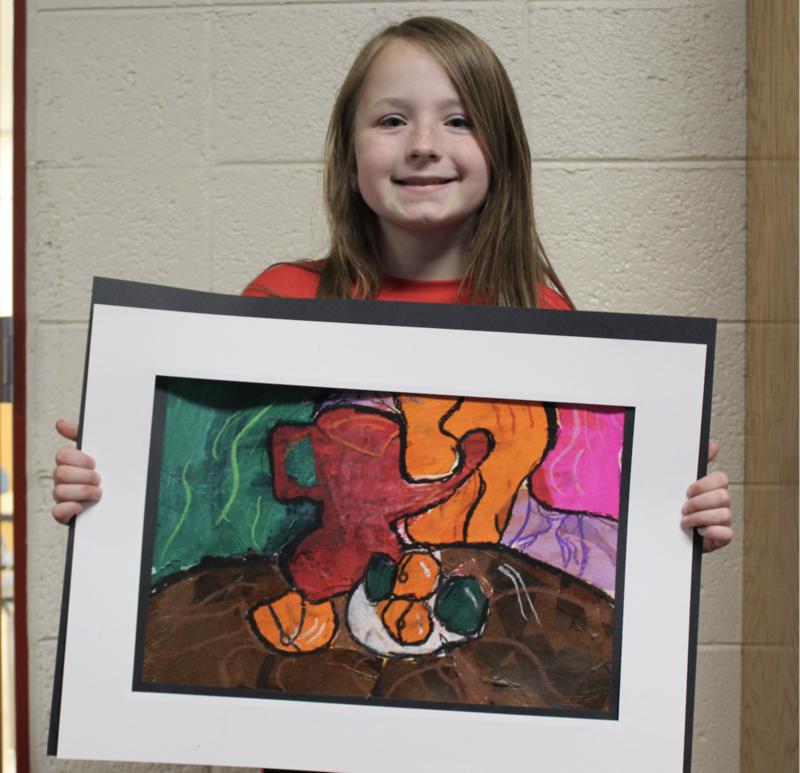 Her mixed media artwork was done using tissue paper, media mixer, and oil pastels. Students in were to research examples of realistic still-life paintings, and use one as their inspiration to make an abstract composition in the style of Pablo Picasso. She did an excellent job with her use of abstract shapes, use of color, and the extra details she added with oil pastels. The Silver Award Honor presents the student with a medal and a $50 gift coupon to Blick Art Materials, and her art teacher, Sue McSorley, will receive a $100 gift coupon. An awards gallery will be posted to www.dickblick.com/mixedmediaco... where all entries can be viewed. This summer, an arts advocacy poster set will be printed and distributed to art teachers across the nation, and this students work may be part of that poster set.